Every year we take many trips to DC for either engagements or weddings. In all the years we lived here we never actually went up for fun. When Lara suggested their engagement session in the heart of DC, I told Luke we would make a mini trip out of it. At least visiting one museum with the kids! Lara wanted to start their engagement session at the Willard Hotel. Since you never really know how DC is going to be and because we were visiting on Martin Luther King weekend, we decided to stay right across the street. I am so glad we did! It made everything so easy! The Willard Hotel is gorgeous! They were setting up for a tea party while we were there and I loved watching them set up the tables with all the pretty china sets. It was like I stepped back in time and it was perfect! Lara & Colin are such troopers. The day of their session it was so cold. I mean so cold! Yet, they just snuggled and put a smile on their face and made it work! Even when we ventured to The Jefferson Memorial and into what it seemed an artic freeze… they were the sweetest. Despite the cold I am so glad we were able to make the trip and spend a couple of hours with them. I cannot say how important it is to have an engageemtn session with your photogrpahers. It is the perfect time to break the ice and get to know one another. Being in front of a camera can be akward and when your in front of the camera with strangers…. even more awkward! So I love when our couples take advantage of getting an engagement session with us because by the time the wedding comes around we are no longer strangers, we are there as friends celebrating along with them! These two will be getting married this April at the Williamsburg Inn! I am so excited for this wedding because not only do we get to work with such a sweet couple, but also an amazing vendor team! When Jess from Williamsburg Wedding Co. and Karen from Aleen Floral Design come together… It is pure magic! It will be such a great day celebrating these two and Luke and I are so incredibly grateful we get to do what we love with such amazing people. Thank You Lara & Colin for inviting us along to DC! 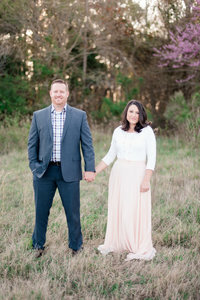 Looking forward to April and praying for a little more warmth on your wedding day! Oh and we did make it to the Natural History Museum! It was amazing and so much fun! So glad we got to go with the kids! Of course I had to grab a shot of the Washington Memorial at night! Wishing I had my tripod… But oh well.. Not too shabby shooting through our hotel window! See more of our DC Engagements Below!